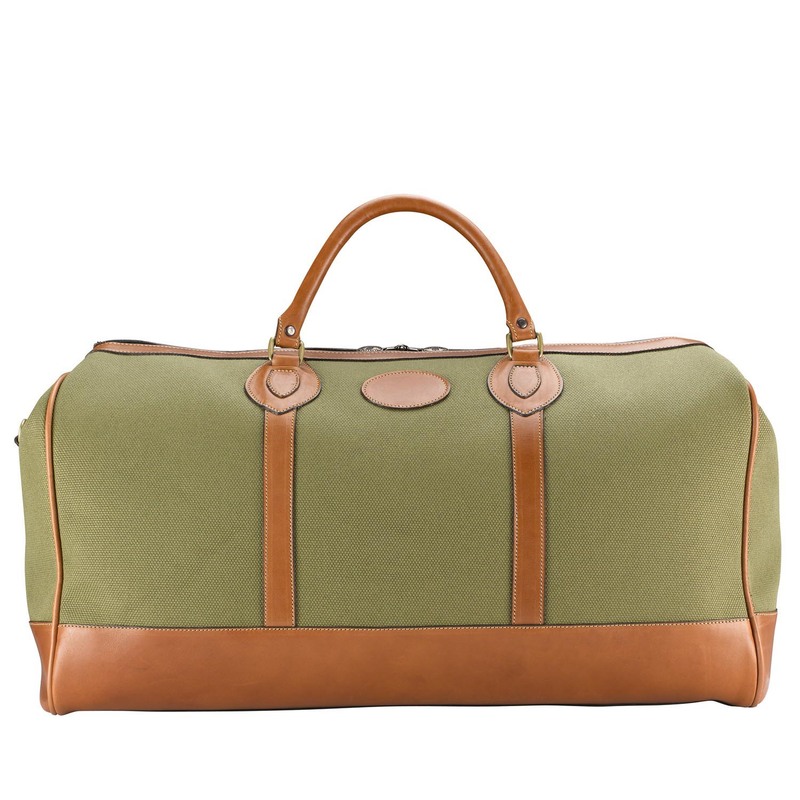 This is possibly the only Classic English Holdall you’ll ever need. One classic style, three sizes, four colours. A favourite with fans of understated chic, our Sundance Floodlight premium leather has a warm, muted dark tan hue that develops a glossy sheen over time and travels. Rugged, elegant, beautiful. Our Aztec Crazyhorse leather is infused with hot waxes during the tanning process, strengthening the material and giving a lovely distressed appearance right from the box. This stunning full-grain leather improves with age and loves nothing more than a hard life! 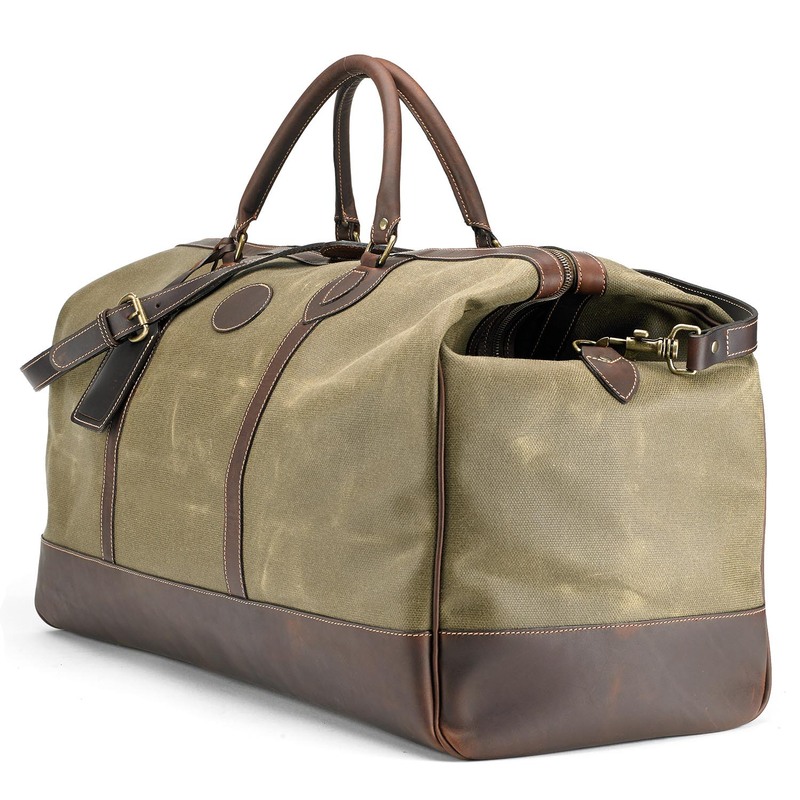 Hardy, water and stain-resistant olive canvas with a smart tan leather trim. 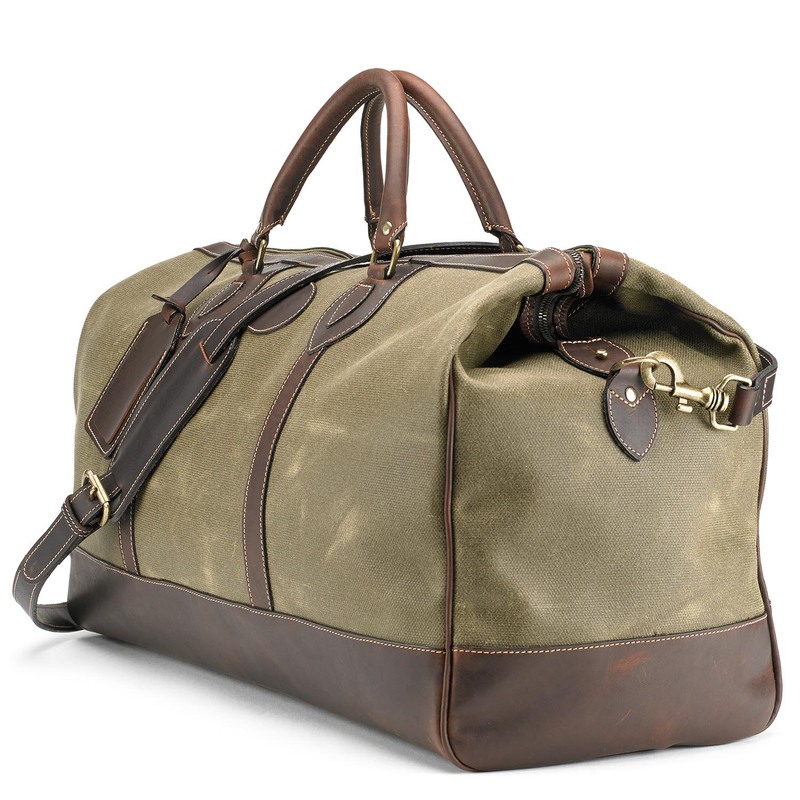 No matter what the road throws at this bag, it has unstoppable style. Simply put, it’s one tough cookie! Tough and weather-proof dry-waxed 24oz sail canvas, trimmed with our signature Sundance dark tan Floodlight leather. Made for us in Scotland, this resilient and characterful fabric transforms the bumps and knocks of everyday life into a unique story-telling pattern. 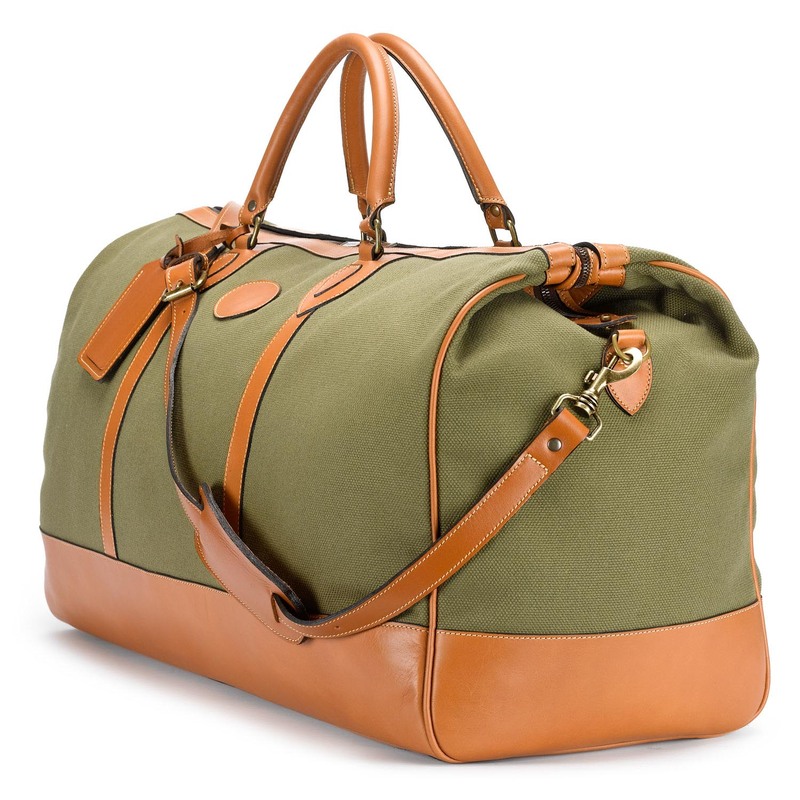 Inspired by our very first holdall, the Chellington, the Weekender combines a classic design with a range of sizes and configurations to offer customers a wealth of variety from a single traditional look. Hand-crafted from almost 100 individual pieces of leather, lining and components, the Weekender is actually far more complex than it looks, but therein lies its exceptional strength and durability. All Tusting bags are hand-crafted in our Lavendon workshop. By special order, we can make your bag even more unique by personalising it, or we can create a bespoke colourway from our set of leathers. So whether it is a personalised message inside the bag, embossed initials or a special colour combination, don’t hesitate to contact us.